When you're starting your business, you focus on your bottom-line and your revenue. You stress over the financials and how to pay your employees. But eventually, you start selling more product and making more money. 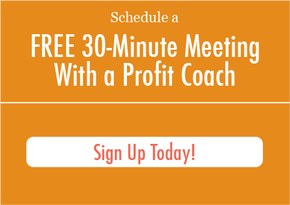 This frees you up to begin strategizing the business's profits. Many business owners start searching around for coaching systems or services to help manage their financials. Some companies can afford to bring on a CFO, but for many small businesses that simply isn't an option. The other alternative to a CFO is a profit coaching service. As a business owner, you need to understand what each one does, and when to hire one service over the other. If you found this helpful, be sure to sign up for more articles like this. You're at the point you need to strategize for growth. This is where either a CFO or a profit coach steps in. While the CFO will be elbow-deep in your financials, a profitability coach will be focused on your cash flow. Think of a CFO as an administration-level employee. They operate your financial department and are able to make management decisions. The CFO will provide you with financial forecasts, manage shareholders, and negotiate contracts. In short, they're pulled in a million directions at one time. They're focused on your profitability alone. They work with your bookkeepers to get your accounts in order and hold weekly strategy meetings with you. Also, they create profit-building frameworks for your business and consistently work on moving your company toward growth. It isn't the same for every business, but there's some general guidelines to help you decide when to go the CFO route. First, CFO services can get pricey. Most companies generating at least $3 million in sales annually could entertain the thought of bringing on a CFO. Also, if you have negotiations, contracts, and arrangements that need to be handled, hiring a CFO is a great solution. 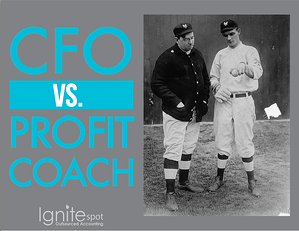 If CFO services are simply out of your budget, maybe it's time to consider a profit coach. If your main concern is managing your profits, they'll help you with your upcoming growth.